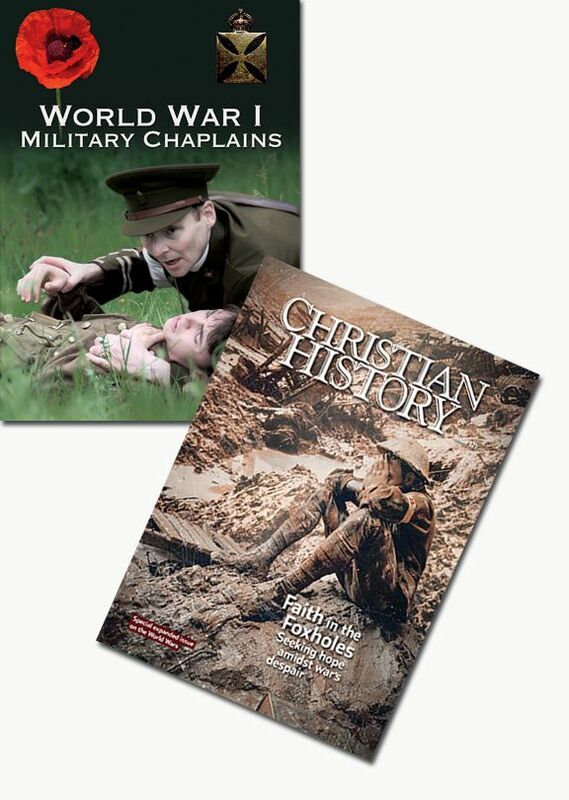 Includes the World War I Military Chaplains DVD and issue #121 of Christian History Magazine. World War I Military Chaplains — Military chaplains, men of faith serving in World War I, found themselves facing the gruesome reality of modern warfare. Serving side by side with soldiers in the trenches, chaplains became essential to the spiritual and psychological needs of those under their care. This four-part series takes you inside the lives of military chaplains who served during the Great War. Dramatic reenactments and interviews with key experts shed new light on an often overlooked but important role. Widescreen. Includes Optional English subtitles. 100 minutes. Christian History Magazine #121: Faith in the Foxholes — They were the wars of our grandparents and great-grandparents. Bloody, nightmarish wars that transformed the face of the globe, claimed entire families, and ushered in the nuclear age. Neither did the Christian church escape unscathed. As the world fought to save Western civilization, Christians fought too, in battles both physical and spiritual. Their stories are heart-wrenching, challenging, and touching, and there are some stories we’d rather forget. Read them all in this expanded issue of Christian History on World Wars I and II, dedicated to those who gave all they had to ensure there would be a better tomorrow. 62 pages.